Tradition that spans three centuries. 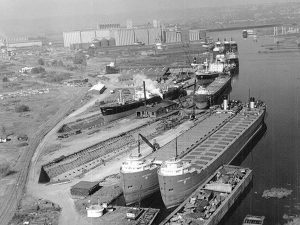 The Duluth Seaway Port Authority Magazine wrote an excellent recap of the history of Fraser Shipyards. The article is included here with the Port Authority’s permission. 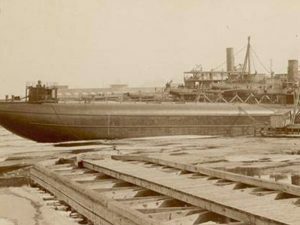 The origins of today’s modern shipyard can be traced to 1889, when Alexander McDougall moved his whaleback shipbuilding operation from Duluth to an undeveloped strip of land along Howard’s Pocket in West Superior. 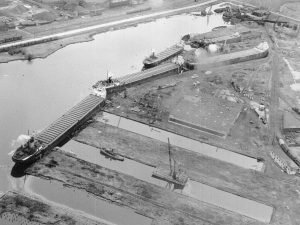 On Christmas Day, 1891, leading a team of men and horses, McDougall initiated construction on what was destined to become perhaps his greatest and most overlooked legacy to the Twin Ports shipbuilding industry, a timber graving dock. 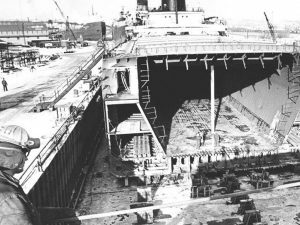 The dry dock at Superior instantly became not only the first one built on Lake Superior, but also the largest dry dock on the Great Lakes. During the next nine years, the American Steel Barge Company launched an average of five ships or barges annually. At one time, as many as 10 vessels were being constructed simultaneously at the Superior yard. 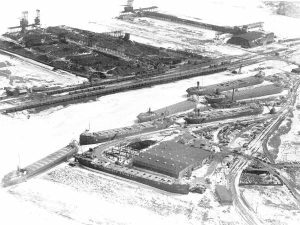 McDougall’s successor, the Superior Shipbuilding Company, operated the yard from 1899 until 1936, producing a total of 30 lake vessels. 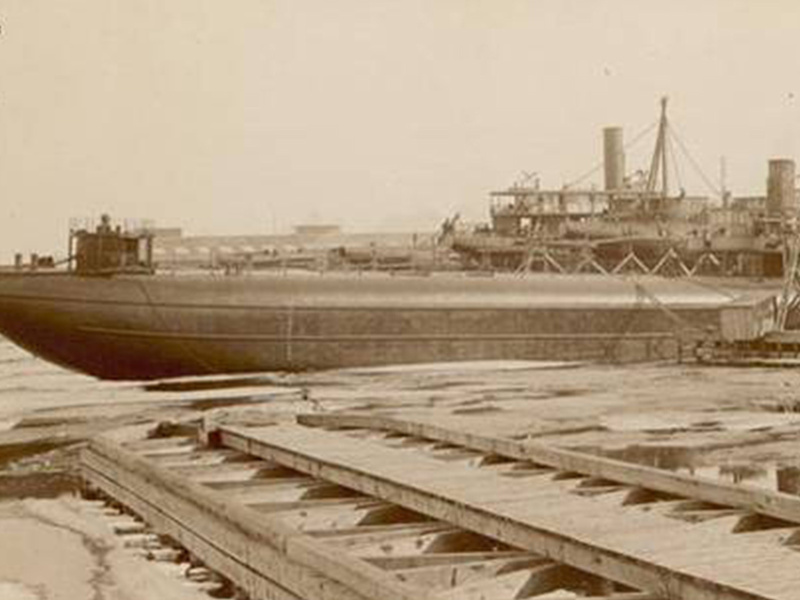 Twenty-five ocean going cargo vessels commissioned for service during World War I were also constructed at the yard. 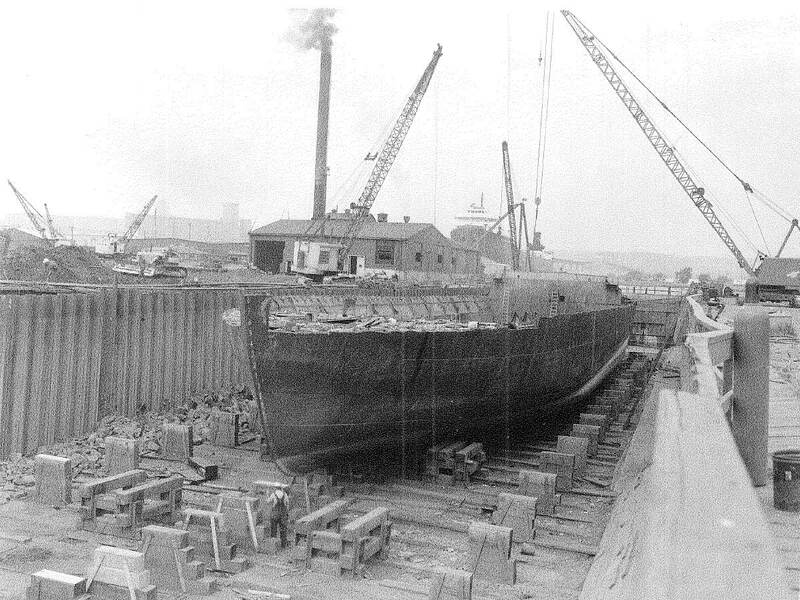 In 1945, Eigil and Henry Knudsen purchased the shipyard. The Knudsen brothers resurrected the yard from three decades of neglect and began rebuilding the local industry with hard work and gritty determination. “Heine and Ike,” as there were collectively known, operated Northern Engineering, a small machine shop specializing in marine repairs. “I can make more money in two minutes pushing a pencil than you can get out of the yard people for a month,” boasted Ike, who ran the shipyard until his untimely death in 1953. By 1955, with the yard on solid ground, the torch was passed to a breed of younger, more energetic men. 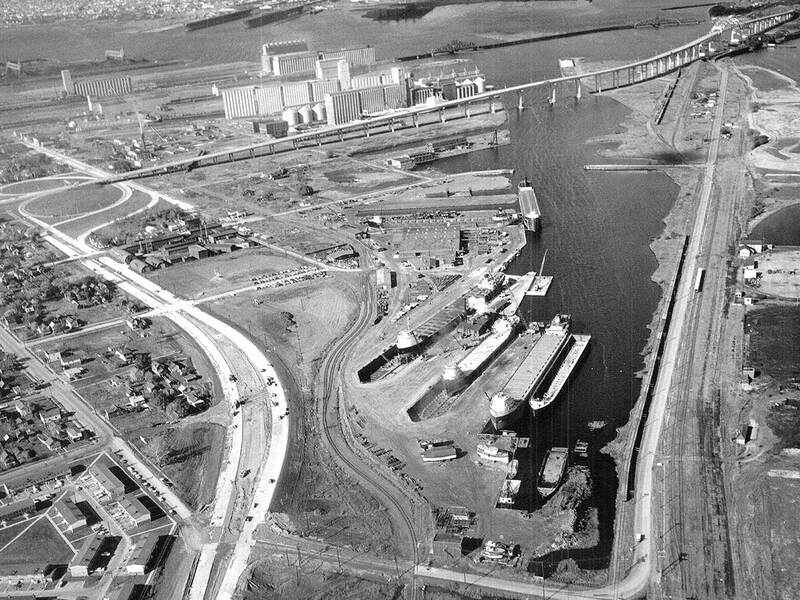 Under the leadership of Robert M. Fraser, the shipyard continued the resurgence begun by the Knudsens, reaching new heights in late 1957, when the Fraser-Nelson Shipbuilding & Dry Dock Company was awarded the contract to convert the steamer David P. Thompson from a straight-decked bulk carrier to a self-unloading vessel. Fraser’s unstoppable drive and his personal charisma continued to propel the shipyard forward. 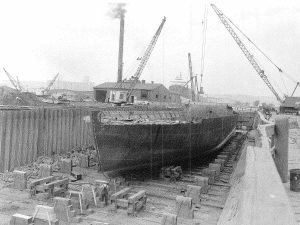 Under Fraser’s leadership, the shipyard was involved in all aspects of the ship repair business: replacing boilers, hammering rivets, converting flatbacks to self-unloaders and integrated tug-barges and installing bow thrusters. Veteran shipyard worker Wally Kendzora can still vividly recall meeting the young John F. Kennedy on the after deck of the steamer B. F. Affleck as the presidential candidate toured the shipyard one winter. It was a time in the yard that many hail as its golden years. 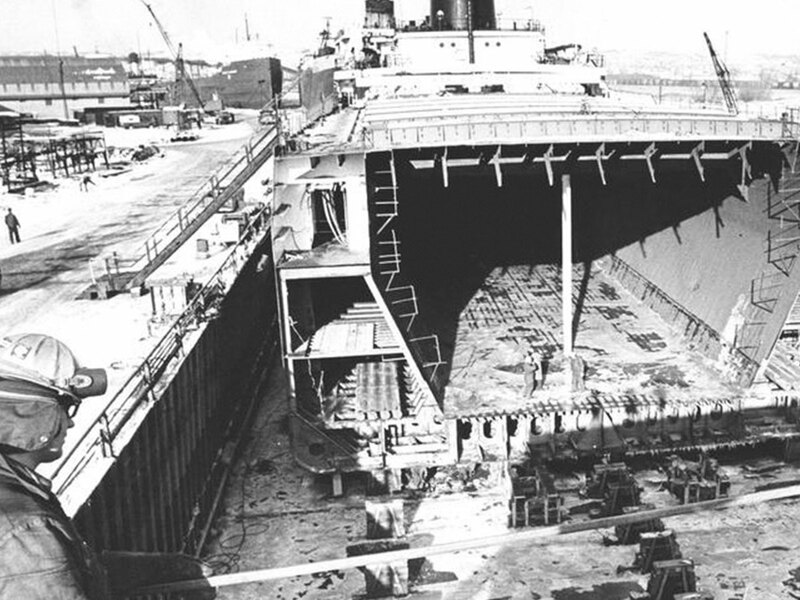 In the mid-1960s, the shipyard added its first vessel-lengthening project to its long resume. Other major projects included the construction of the ocean going tug Frances A. Small. While the repair business kept the yard busy, the inability to land a contract for one of the new “thousand-foot” class of vessels being designed for the lakes left Bob Fraser with unfulfilled dreams. 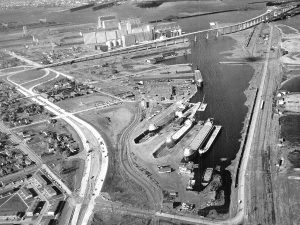 In failing health, Bob Fraser passed the leadership of the yard to his son Robert Jr.
Shipbuilding was not a passion shared by the younger Fraser and, in 1977, the shipyard passed out of the Fraser hands when the yard was sold to Reuben Johnson & Son. 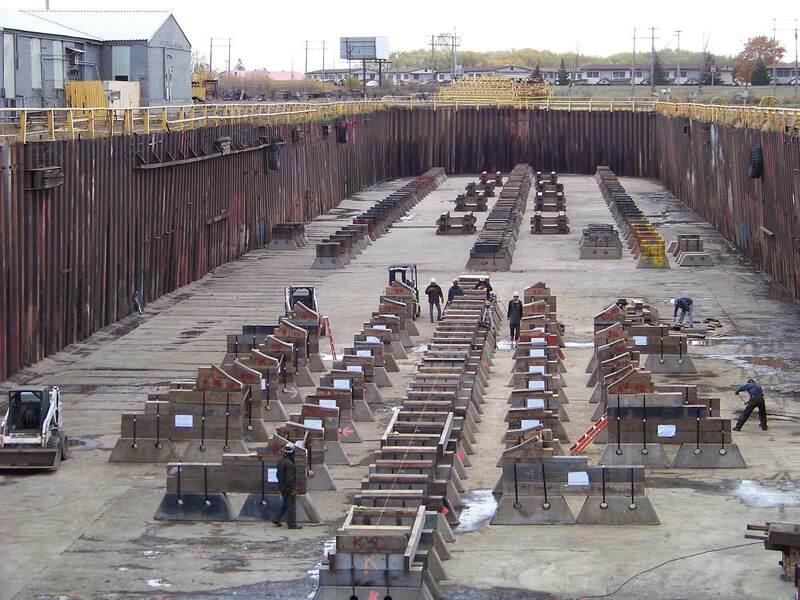 Under new management, the shipyard continued to generate a large volume of work for the area with the conversion of five more lakers to self-unloaders, including three U. S. Steel vessels over the course of one winter in 1981, a feat unrivaled in any shipyard on the Great Lakes. The shipyard also services the numerous vessels berthed throughout the harbor during the winter. In 1990, Fraser Shipyards began the major conversion of the Leon Fraser to a cement bulk carrier by removing a 120-foot section of the hull, a first for any yard on the Great Lakes. In late June 1990, Fraser Shipyards, Inc., celebrated its 100th anniversary with an open house. The year 2000 marked the third century in which a shipyard and dry dock facility has been in operation at Superior. Most important for Duluth-Superior, the shipyard will provide a stable employment base for a labor force that has spanned generations. 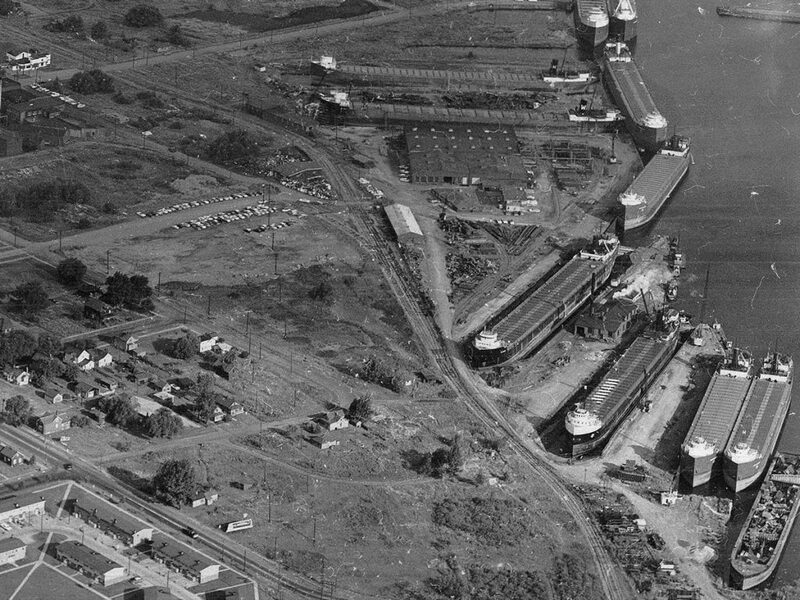 When the present management purchased the shipyard, the name on the door remained the same — Fraser Shipyards, Inc. — because the name stood for quality and tradition. 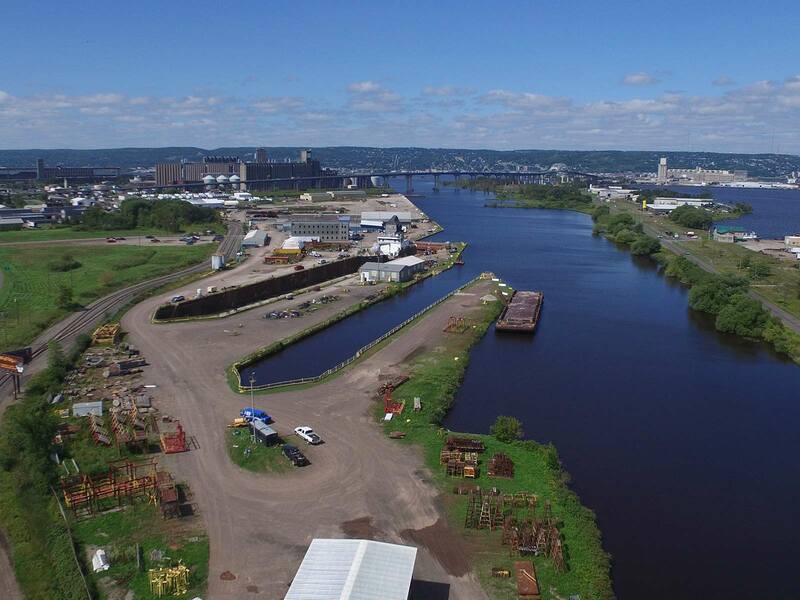 As the new century progresses, the small shipyard at Superior continues to do big things for the community and the Great Lakes maritime industry.